That was the status update on facebook that I powered to make after a very long day, and a fun celebration in the evening counting in the new year with a dear old friend and many new. But really – Happy New Year! [UMPF!] With other words: to read with power, energy and excitement. I can’t wait for 2011 to unfold. How about you? I had a conversation with the gentleman next to me at the New Years eve dinner table about intention for the year. Or statements. For example: his girlfriends statement was was “Enjoy” in 2010. His was “Gilla läget” – e.g. as a consultant, whatever the clients situation was: like the situation. Mine the last two years has been “Freedom of creation”. So the search for 2011 intention/stake for him was around singing. I was looking for an expression – what is it we say…? Sing with full lungs? Sing with your heart. Sing from the belly? There is something else that is an expression with umpf. It didn’t come to me at the time – but this is what we say in Swedish: Sing for full cups! (sjung for fulla muggar!). How come I didn’t remember that one??? It really means sing with full speed, with all the power you have. No holding back. 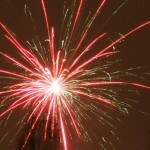 What is your intention for 2011? What is your stake that you can hold on to, whatever you do? Really. Share it in the comments! Inspire others. I like my old intention. If I would add a little umpf to it I would say Freedom of creation – with impact. This year – can’t wait for it to unfold. One day at a time.